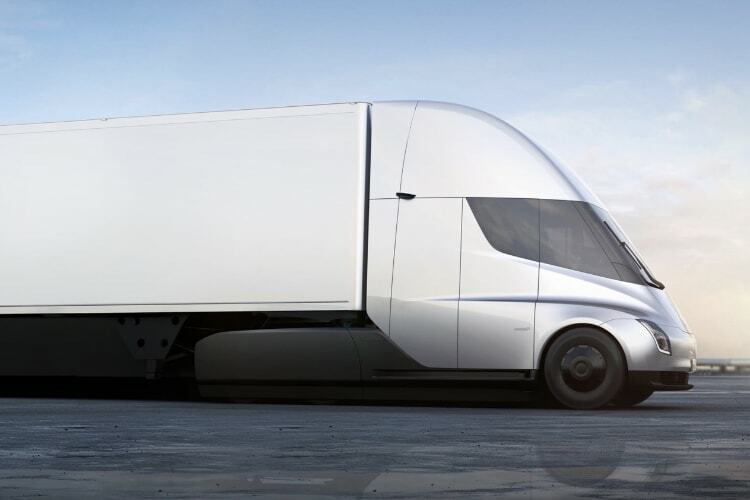 There has been some skepticism about Tesla’s electric semi truck claims, when the company confirmed it would be using them for freight transportation between California and the Gigafactory 1 in Nevada. But Tesla has lived up to its word and has announced that the Tesla semi trucks are out on their first production cargo trip. As you can see from the image, the semi truck prototypes are hooked to trailers with battery packs at the Gigafactory 1. In case you’re wondering, this is the factory where Tesla produces stationary energy storage battery packs. The trip from Gigafactory 1 to California is a 250-mile journey. Musk had already referred this route as a demonstration of the range capacity of the Tesla semi during its unveiling. And although the electric semi truck is taking care of the freight transportation for now, Musk suggested that the company is considering building a Hyperloop system for cargo transportation. That being said, now that Tesla semi heavy duty trucks are up and running, we think other truck makers should be a little worried. In case you don’t know, several companies like Budweiser, PepsiCo, etc. have already placed their orders for semi trucks from Tesla, while Uber has also begun smart truck deliveries with self-driving units in Arizona.